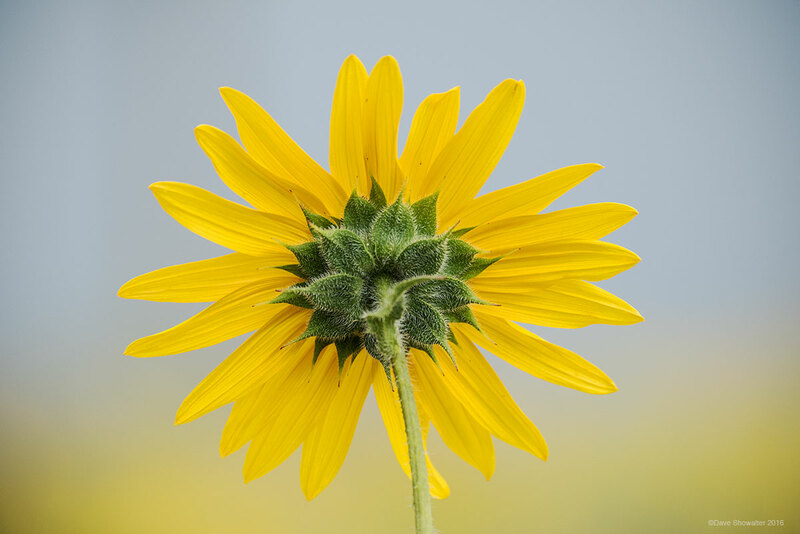 Prairie sunflowers bloom after late summer monsoons, transforming dry prairie to fields of gold. While they have a lovely face, the intricate details on the backside of the wildflower, looking out across the field, captivated me on this late summer morning. . Photo © copyright by Dave Showalter.